I have some really amazing news that I am just sooo excited about! 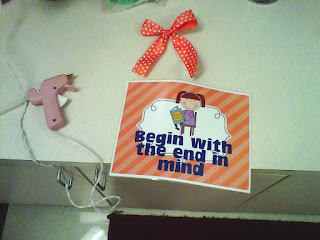 Meghan Farley over at Oh Boy Fourth Grade has just blogged about one of my items!!! I know, I can't believe it either! 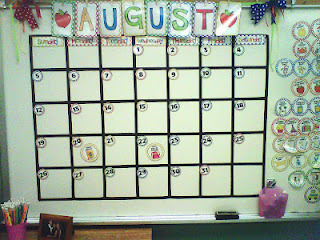 So I made this calendar on my white board over the summer, and created all of these little magnets that go along with the calendar - like holidays, special school events, etc. and I am IN LOVE with it! 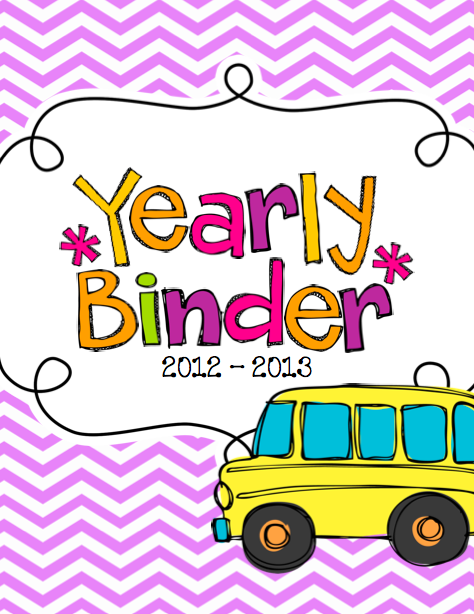 I added it to TpT hoping that maybe some other crafters would be interested in creating their own large calendar...Lucky for me, an amazing blogger like Farley did! :) Woo Hoo!! Go check out her link to her calendar by clicking HERE or the link to her blog above. Farley's calendar: on a sheet cut at the store of dry erase tile so that she can move it around the room! A HUGE THANKS TO FARLEY AT OH BOY FOURTH GRADE!!! I am so excited about this! You made my day! :) Thank youuuu! If you have made this calendar, PLEASE send me a picture because I would LOOOVE to see how yours looks! Hooray for their arrival! The eagle has landed! I ordered these containers from Lakeshore Learning at the end of summer, and they arrived today! I am so excited about them because before them, I had clear containers that had handwritten labels on them :( which just drove me crazy because they did not look neat OR match my room decor! I absolutely LOOOVE these new tubs! They are super thick plastic, so I know they will last a long time, and their lids don't attach on so strong that they are hard to open (one of my pet peeves with containers). I am so excited about the way they look! I am actually going to order a couple more for a different spot in the room because they are so great AND THEY ARE ON SALE now :) Of course...because that is what happens when you buy something...it goes on sale a day later! Now it's time for a FREEBIE! Yay! 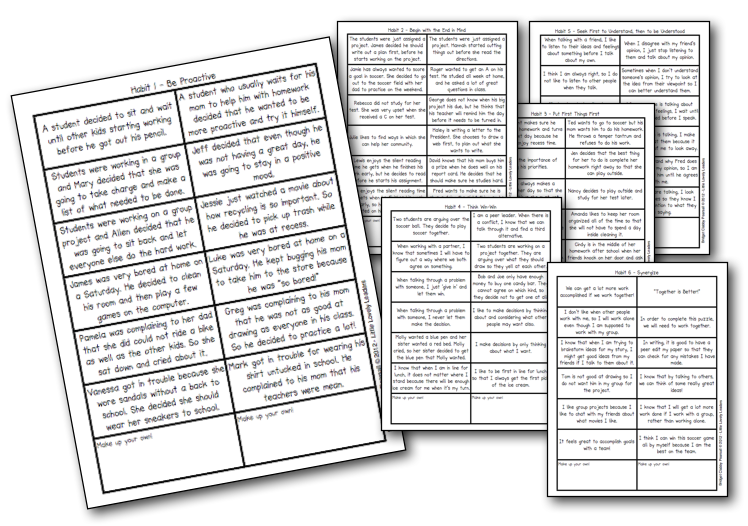 This activity reinforces what the students have already learned about the habits because they are reading statements regarding real-life events or situations and they must categorize them into one of two categories: does this situation show the use of one of the habits, or not? 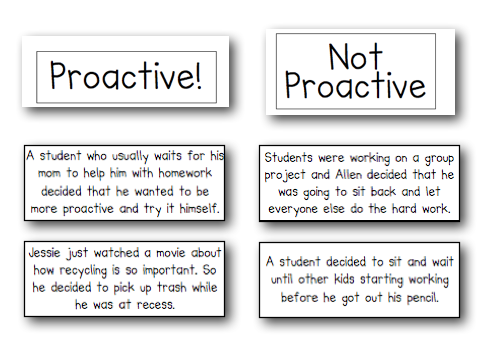 For example, the students in group 1 would be labeled the "Proactive" group - so they will be working with Habit 1: Be Proactive. 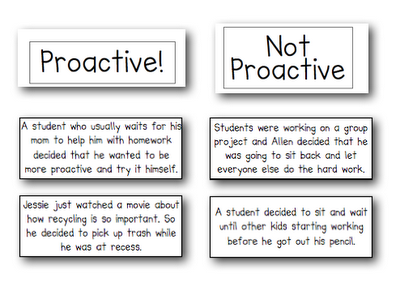 I give them their sheet with their two titles ("Proactive" and "Not Proactive"). 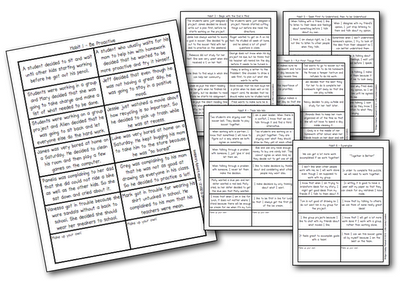 Then the students receive the sheet with all of the different situations on it. They must cut out all of the boxes (including their titles), and sort them into the two columns. Each group also must add their own scenario to each column. 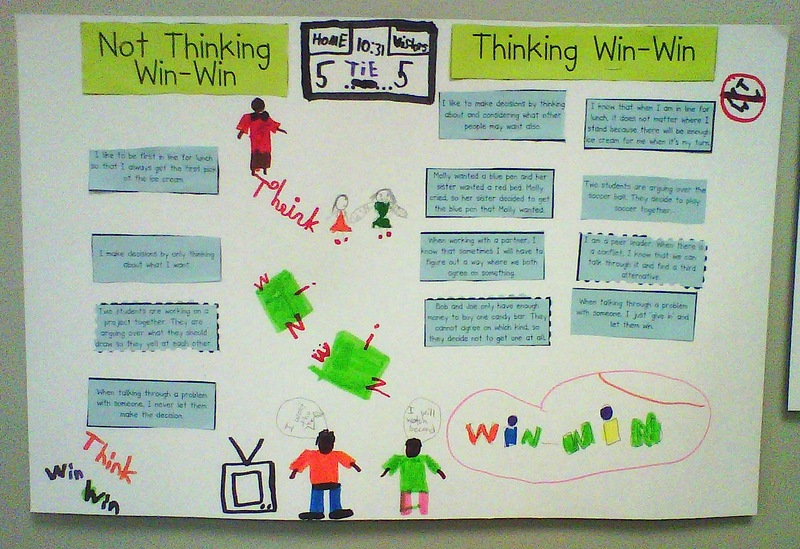 I was so impressed with my students' group work today! I don't know if it was because we had just talked about synergizing, habit 6, or if they are just a great group! :) Hopefully a little of both! I am just so excited the year is starting off so well! 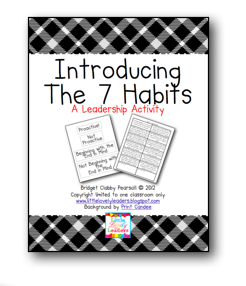 Get this FREEBIE from my TpT store, along with a lot of other 7 Habits related freebies! Obviously by the pictures, you can tell its a group of boys! But I love how they represented a tie score in the score board. They have two people in a conversation about whose TV shows they should watch....but in their speech bubbles, they are deciding to watch one person's show first, and the other after - Thinking Win Win! 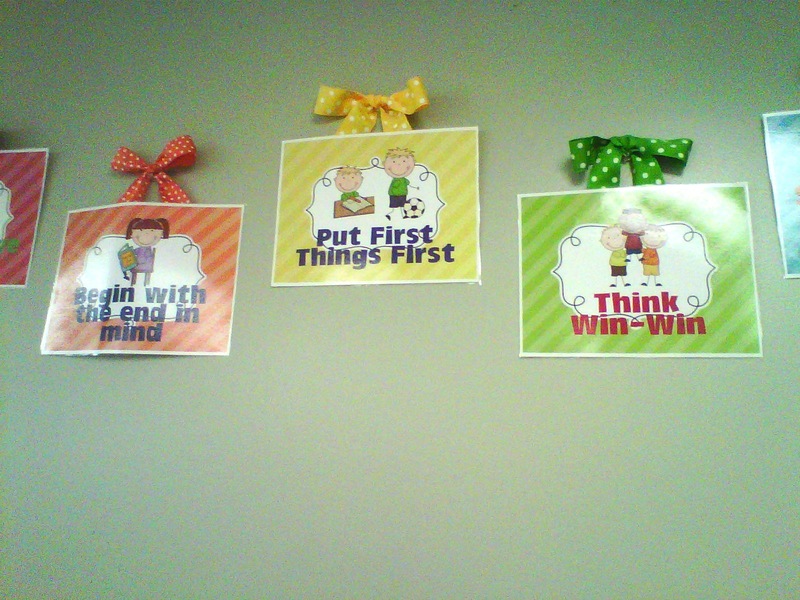 :) Yay for learning the 7 Habits! 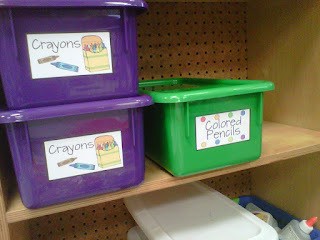 My inspiration for this classroom color scheme is my obsession with organization! Is organization allowed to be my inspiration? That really sounds like I am saying I am inspired by my type A personality...haha! Because I like to "color code" everything, I went with a rainbow color scheme this year! I absolutely love it! 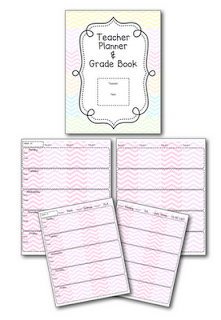 I am going to be showing you two different versions of rainbow classroom decor in this post. I used the regular set of rainbow colors one year, and then the rainbow brights the next year. 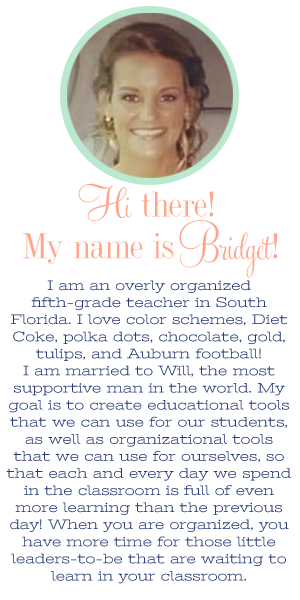 I wanted to be sure to show both options because some of you can use the rainbow brights decor and you may not have to change much of what you already have going on in your classroom - you can just add to it! 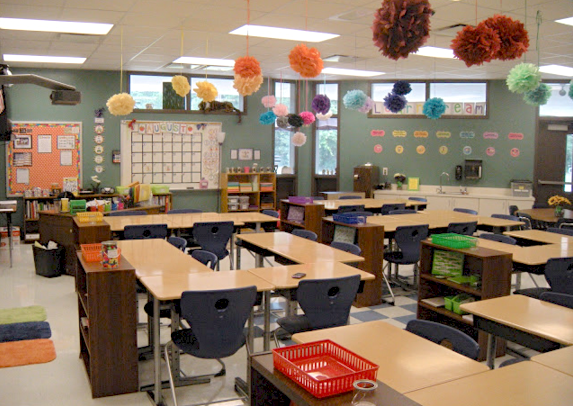 Below is a quick look at both versions of the rainbow classroom. I added some quick links of items you can see in these photos below each picture. I hope this allows you to easily navigate and shop this post. 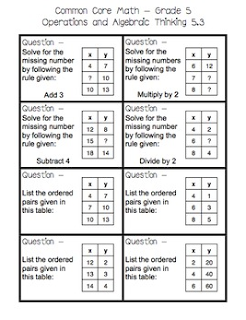 We use a "raise a number" technique for students hand raising in all of our fifth grade rooms...so that it remains consistent. They simply raise that number using their fingers and we can nod to them 'yes' or 'no' without having to stop class...because we know what they want/need by looking at their fingers. It has always worked really well! You can see the item I am referring to on the left side of this picture, click the links below to view it on Teachers Pay Teachers (depending on which color scheme you'd like). It is important to put this somewhere in your classroom where all of the kids can see it. 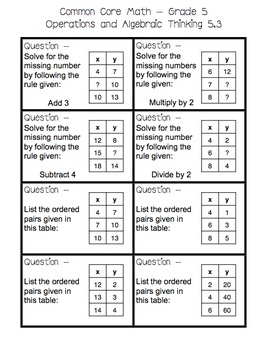 Once they learn which number means what, they won't need to look at it anymore. The students are told not to abuse this system, though. They know that they should not raise a 3 in the middle of the lesson, for example. We'll start with the rainbow brights and lead into the regular rainbow! 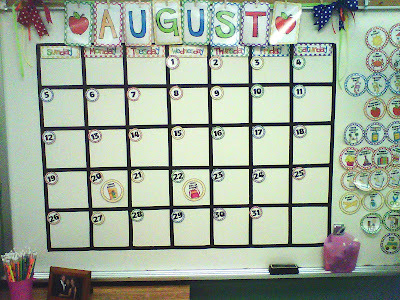 I think my favorite part of my classroom every single year is the wall calendar. 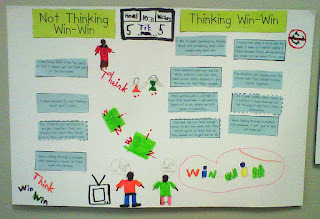 I always do mine on white board space, because I happen to have a lot in my classroom. You can totally do this on bulletin board wall space, as well! I make my pieces magnetic using adhesive magnetic tape from the office store, but you could use Velcro or push pins on a bulletin board! 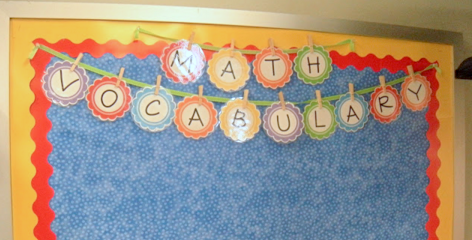 I have a Math Vocabulary bulletin board where I will keep the vocabulary we are using at that time. Once we move on to something new, these words will move to our Word Wall, and new ones will take a place on this board. This is usually a favorite bulletin board for the students - Super Work! They LOVE for their work to be displayed here! It is directly over the spot where we turn in homework, so it is right when you walk in the door...where everyone sees it! It is always excited to see the students' faces when they walk in and see their work on this board! 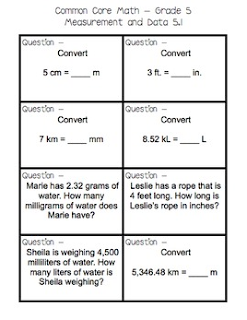 I, of course, try to rotate the work as often as possible so that all students get to know this feeling! I just love the class jobs I created! 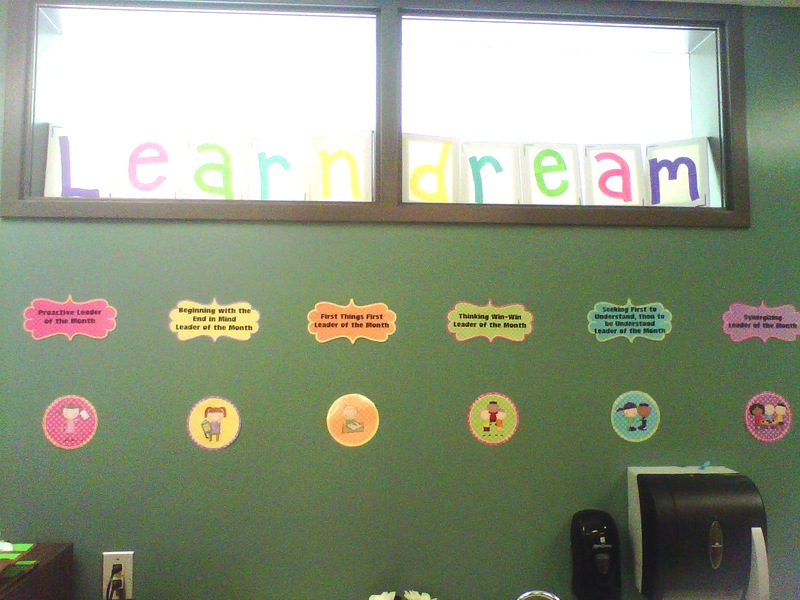 This is my latest creation for my Leadership classroom :) There are 49 different jobs available to choose from! The other students are "sharpening the saw" while they do not have a class job that week. I am sorry for the quality of this picture - it's awful! 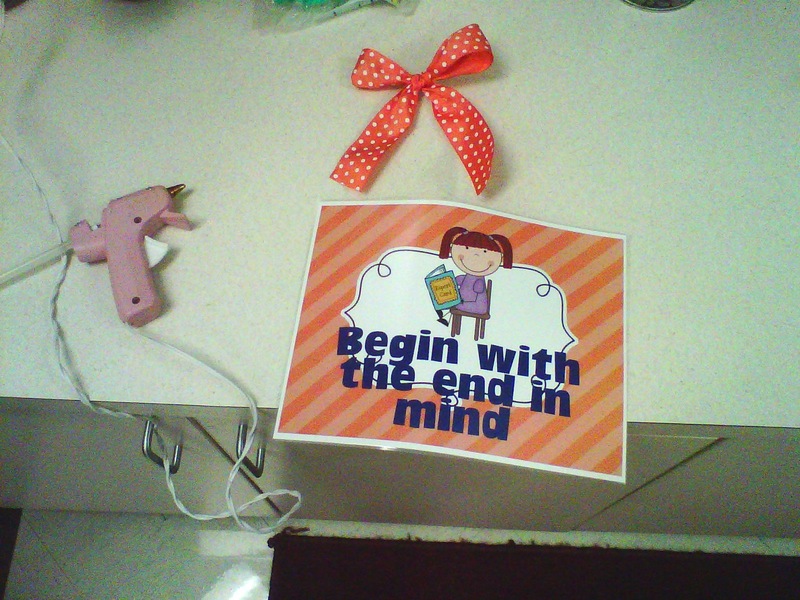 Important note: In the photo above, the bottom piece says "Sharpen the Saw" because we are a Leader in Me school. Due to The Franklin Covey company's strong copyright laws, we are not allowed to use their terms of their habits. For this reason, I have two options in the pack for sale - one card has a pre-typed page that says "Take Ten" (which still means those students are taking a break at that time). The other option is a card exactly like the one seen in the picture above; however, the words that say "Sharpen the Saw" are simply left out (blank) so that you can write your own title there. Sorry about this! This is the view from the back of the room. 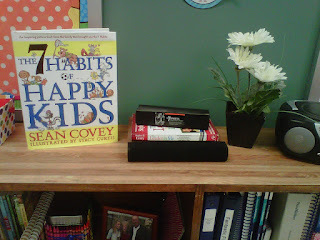 You can see my math alphabet (FREEBIE), and the "We Love 5th Grade" banner hanging over it. I just love the bright colors and I know it is going to make me so happy to be in a room so colorful :) Is it bad that I already can't wait to keep adding to the decor? 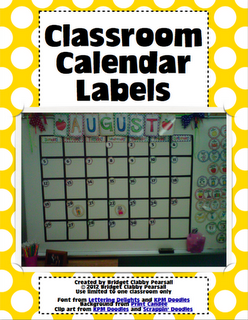 I have talked about this calendar before, but I just love it so much that I had to add it to my final classroom design post! You can see my "how we get home" poster to the left of the regular rainbow calendar. 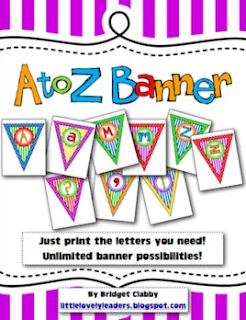 I don't have mine posted on TpT, but my sister at Kindergarten Smiles, has an AWESOME one of these for sale in different color choices! 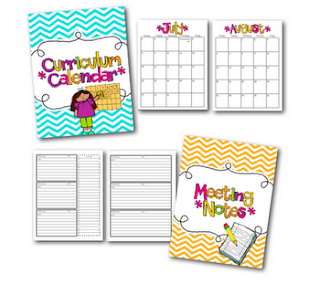 These calendar sets are on sale on my TpT. You can make your own of these if you have the space! I used electrical tape and magnetic sheeting. I cut up the magnetic sheeting and hot glued it to the back of my calendar set pieces. This is working like a charm and I just LOVE it! I can't wait to display all of our special events on this calendar! I love viewing the whole month at once. A student's planner does not allow them that luxury, so I am glad that they will be able to see the whole month at a time in my classroom! I absolutely LOVE pom-poms...if you can't tell. I took this picture while standing on my computer tables because I felt like I was up in a pom-pom wonderland while I was standing there to hang things up! I am just so excited about it! I have 6 groups...one for each color of the rainbow. The rest of my room just involves LOTS of rainbow colors everywhere! As you may be able to tell from this picture...and maybe you saw my earlier posts about it...Each color is color coordinated to match their supplies on their bookshelves! I love this about the room because I am seriously OCD about things like this! I looooove organization and coordination! The kids always know where things belong and they understand they cannot take from another group's bookshelf! 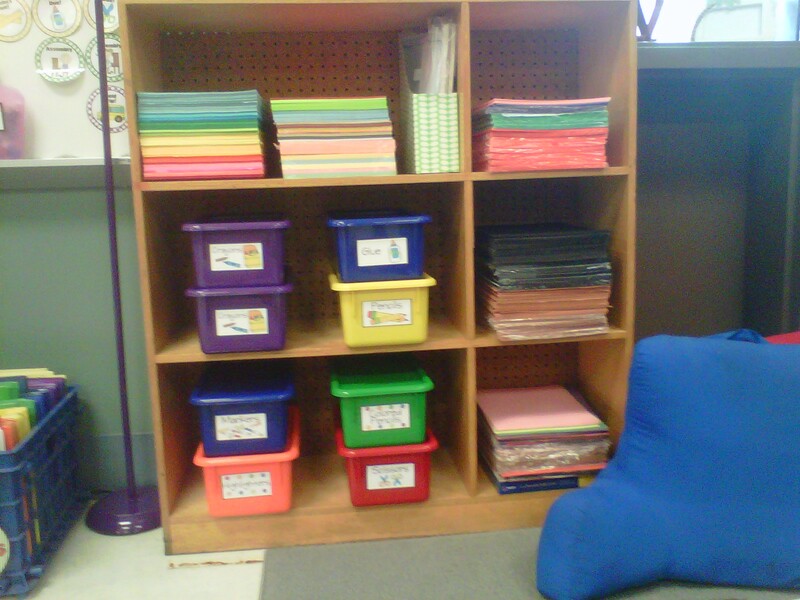 Take a look at this picture below to get a better glimpse at green group's bookshelf. So on the top there is a basket where I pass out papers that we will be using in class that day. 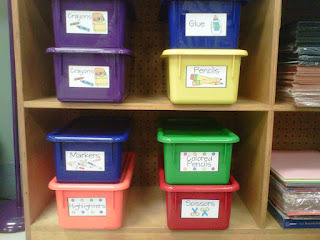 I do this in the morning so that while I am teaching, their materials and work is already there waiting for them! No more passing out papers while I try to talk :) There is also the clear, little cup where they receive team pom-poms if they are on tasks or doing great that day! The top shelf has their canvas with inspirational quote, group journal, team leader pin (team leader for certain activities gets to wear it! 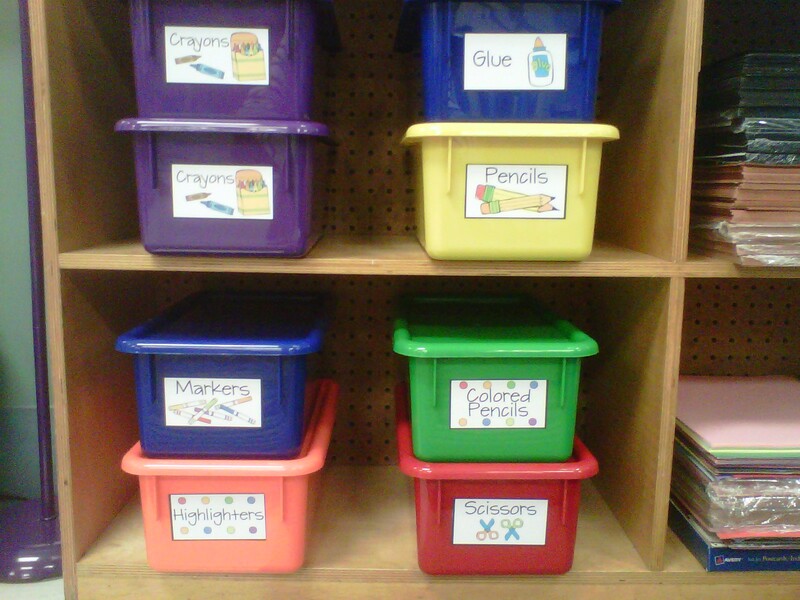 ), paper clips and binder clips, pens, pencils, and highlighters (which are their group color, of course!). The middle shelf has their mini dry-erase boards, the bin with socks for erasers and markers, and loose leaf paper. 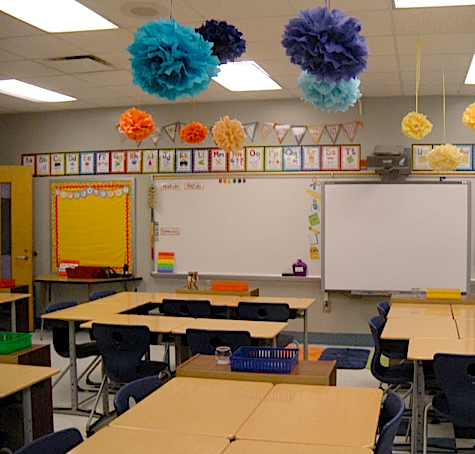 The reading corner is full of pom-poms, too! 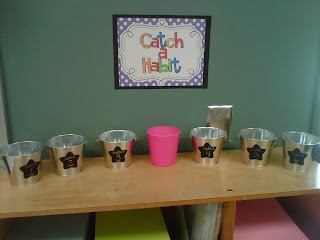 I also have class supplies on the shelf where my "Catch a Habit" station is (explain in a different post). I just looove the reading corner because it has that cozy, closed feeling, but it is open enough for me to see everyone in there! I have already posted about this, but figured I would add it here, too! These are my plans for the week, organized by class, subject, and day of the week. 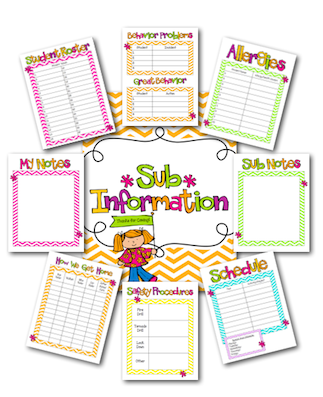 This is sooo great when I have a sub because everything they need is there and I do not really need to write a lot on the sub plans, since it is already filed by subject and class :) This is one of my favorite things in my room! It has definitely come in handy! I hope you enjoyed looking at my classroom! I am really pleased with how it turned out. I hope that the students love it as much as I do! 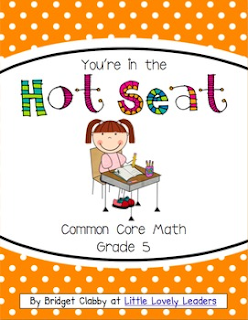 I can't wait to meet my students and get started on this new year! It feels so great to know that my room is done and I am ready for school! in the fabulous Made It Monday posts! Go check out this great linky party!! AH it is back to school time! 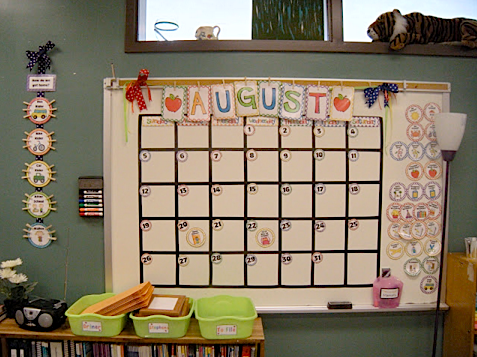 Us teachers all have things we relate to back to school time... new clothes, smiley parents on the first day of school, new classroom decorations, a clean classroom....and more! There are always those few things that you relate only to back to school...I love reading the other teacher's comments about back to school because it usually is exactly something I relate to! I love it! Whether its new supplies, your new roster, or the lack of sleep...we all relate to some of these things! Below are the two that definitely remind me of back to school time! I am ADDICTED to TiVo !! I love all of those silly reality TV shows...ABCfamily shows...and of course, Friends.. Anyway, TiVo is great and all...but you need time to go back and watch the shows you have taped. Where IS that time during back to school? It is spent blogging, checking out other blog ideas, working on plans, making data charts for my new students....or searching TpT for things that might save me time! I don't even have the time to watch my TiVo! Does this happen to any of you? Do you end up thinking about the level of priority you have for some of these shows...like "hmm...that one is not as important, I will just delete it..." hahaha! I always do that! I never end up even watching certain things like Housewives of Atlanta..which just is not as interesting to me as the Housewives of New Jersey! I mean, c'mon...would you rather watch people stuck in an RV fighting, or watch someone think about opening a funeral home? hahaha! 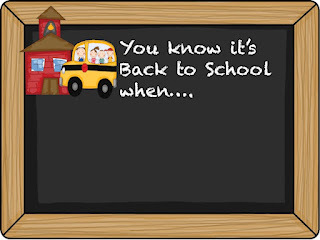 What things do you relate to "Back to School" time? 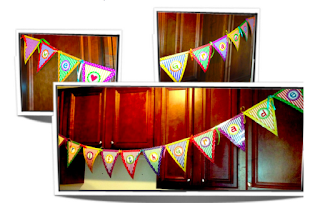 Tell us all by joining this linky party! 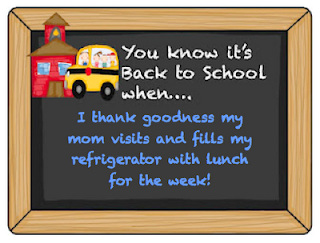 Click the blank chalkboard above to find out how :) Can't wait to read everyone's ideas about back to school time! I have done a lot of Leadership-ing in my room this year! I wanted to share some of these things with you all because I really do think any student, any where, can gain from learning these 7 habits. It all starts with the basics! 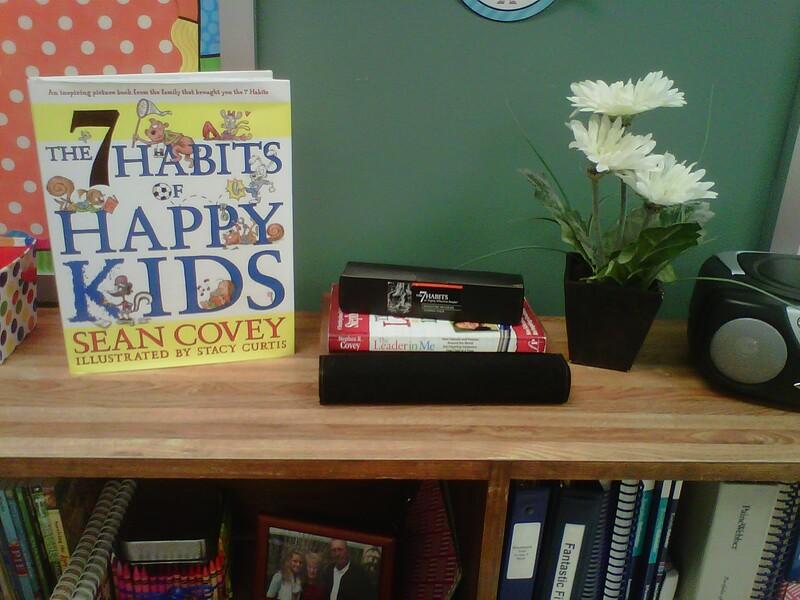 The 7 Habits of Happy Kids by Sean Covey is a great way to teach the 7 habits in an "elementary" way, with fun stories that the students can understand! 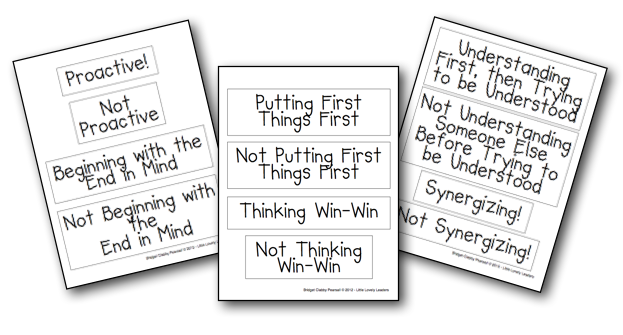 I created these posters which you can find FREE on my TpT store. I added some ribbon for fun :) and to add a little bit to my rainbow themed room! 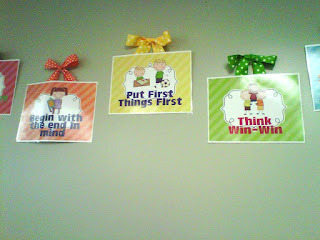 I used these same clip art pictures in a lot of different decorations in class. 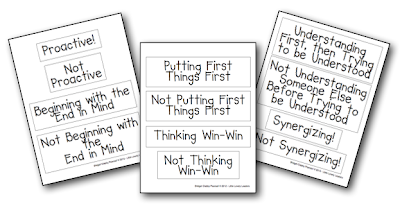 That way, the students can recognize the images as a representation of that habit, no matter what they are looking at (whether it be a poster or the little notes - FREE - that I send home when I catch them using one of the 7 habits). 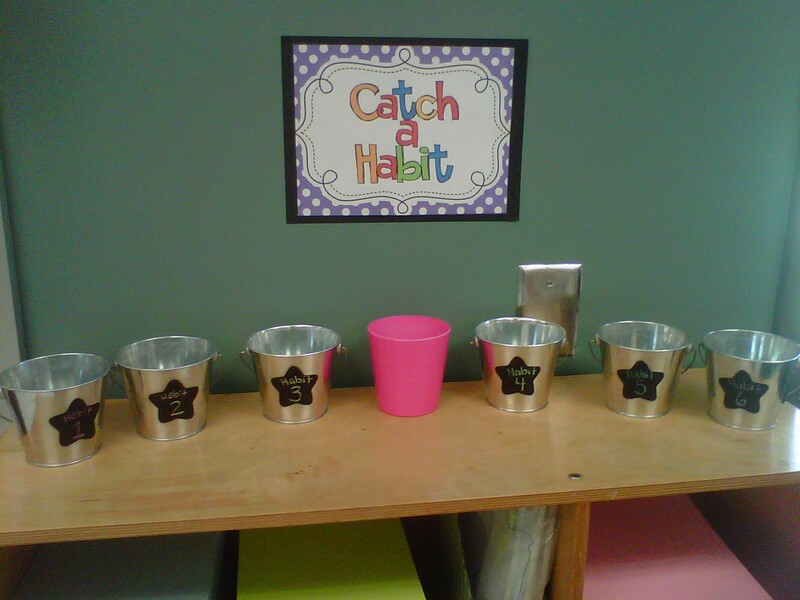 This "Catch a Habit" station is something I just came up with the other day and I cannot wait to use it!! If a student sees one if his/her peers demonstrating one of the 7 habits, then they can find free time to hop over to this station and grab a small sheet of white paper from the pink cup. 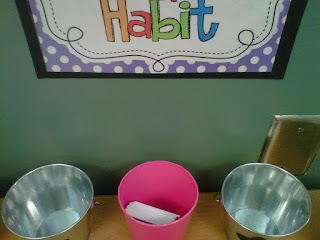 They fill out the student's name who they saw demonstrating the habit, what he/she was doing to prove the use of the habit, and then sign their own name to the bottom. 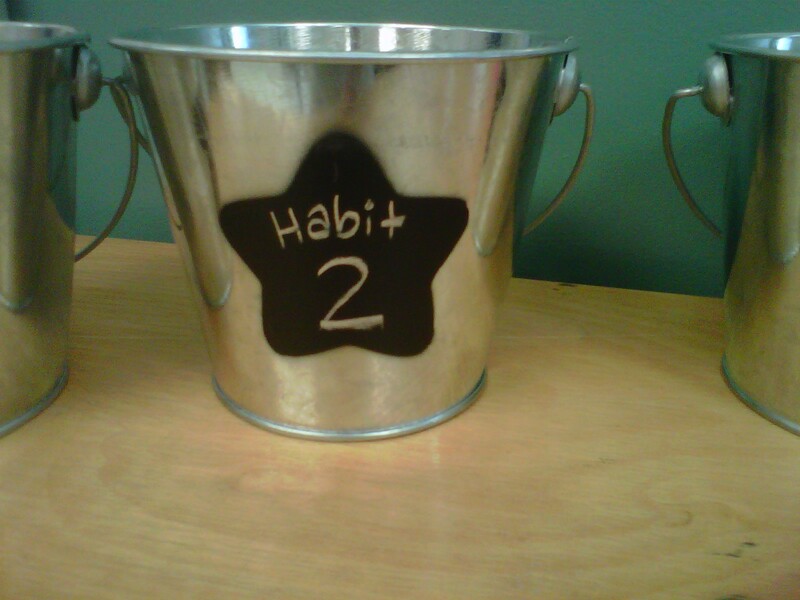 Once the sheet is filled out, they place the paper in the cup that matches the demonstrated habit. I do not have a habit 7 cup because I did not want to have a bunch of forms turned in when people are caught "sharpening the saw", since that is simply...relaxing!! I will be adding these as a free item on my blog and TpT very soon! 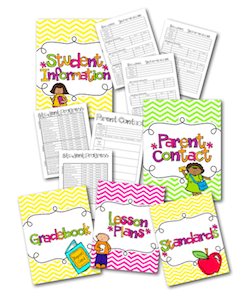 TpT Back to School SALE coming August 12-13th !!! Wooooo hooooo !!!! Get items on sale from MANY MANY MANY different TpT stores! So many different TpT sellers participate in this, so you can receive this sale on thousands of different items from Teachers Pay Teachers! so it really is exciting for the students !! I encourage you to do lots of blogging today! 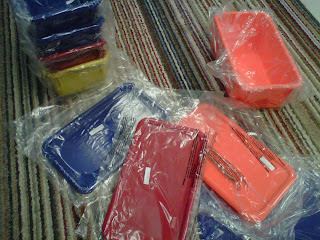 There will be so many great bloggers with TONS of TpT items for sale! 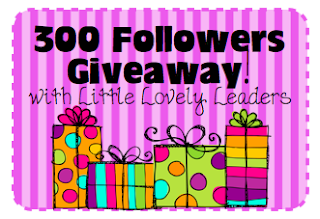 Be sure to enter to win in my 300 follower giveaway !!! Going on NOW until Sunday !! !